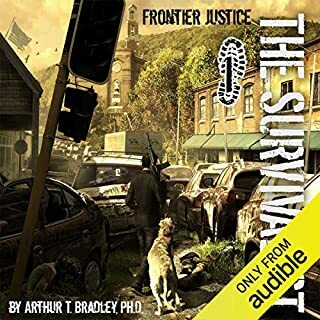 A catastrophic solar flare, an EMP - a threat from above to America's soft underbelly below - is hurtling toward our planet. The Rymans have never heard of preppers and have no concept of what prepping entails. But they're learning, and they are running out of time. Their faith will be tested, their freedom will be threatened, but their family will survive. This is a story about how our sun, the planet's source of life, can also devastate our modern world. It's a story about panic, chaos, and the final straws that shattered an already thin veneer of civilization. It is a warning to us all - never underestimate the depravity of man. What will you do when the clock strikes zero? 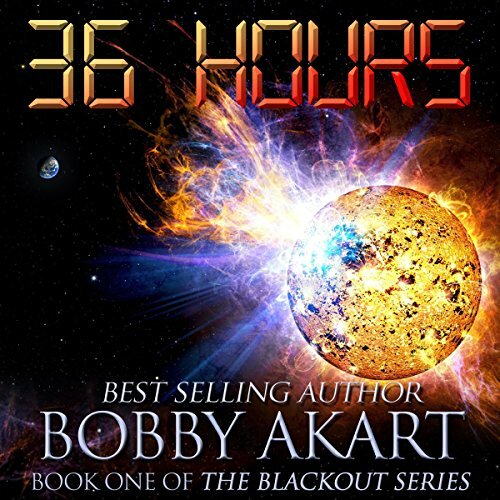 A fictional non-fiction book (well Akart and many other think that something similar to what 36 Hours is based on will happen in the near future). The sun is the giver of life, but what happens if it suddenly wants to take that life away. That is what this book tries to show. 36 Hours is a book about a non-prepper realizing the prepper ways. In one of the first non-prepper (but kind of prepper) books I've read, Kevin Pierce still shines. He definitely has one of the easiest to listen to voices. Especially in books where the world is falling apart. My favorite parts of this novel were all of the different scientific sections. You can tell that Akart really did his research before putting words to the page. The science feels real, which in turn makes this book incredibly terrifying. I kept thinking, oh wow, well that's terrifying, every time that Akart would have the characters explain the science behind something. Parts of this book could almost be used as a prepper's guide (which is what Madison basically reads to get prepared). And I think that prepper's and non-prepper's alike would really enjoy this. 36 Hours: A terrifying look at would happen in the hours leading up to a direct hit of an EMP sent directly from the sun. My only issue is that this was really the "prep" book, the next book will have all of the goodies in it. 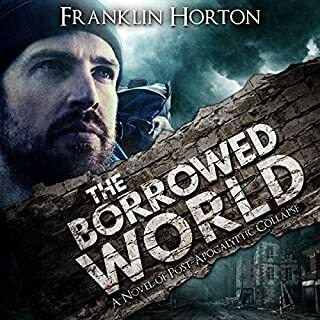 This was, for lack of a better term, a "Pre-Apocalyptic" book. If you liked my review, please vote for it. If you want to see more like this, check out BriansBookBlog DOT com. 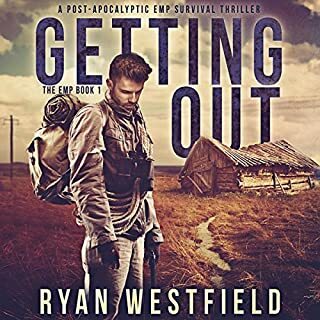 The story is different from most prepper fiction because the main characters aren't preppers, at least at the beginning. The story was very short, more like a volume one, rather than book one. I am so angry right now. I just looked at the reviews of turning point and some idiot named Vincent named two characters who died. Who does that? Who ruins a book for someone before they read it. Anyways I just had to vent. 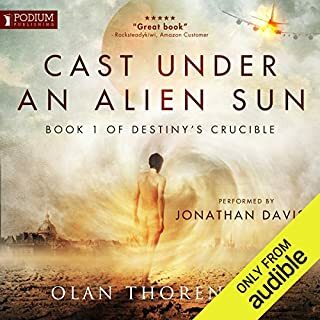 This book is amazing, and I can't wait to listen to the rest of the series. Could have been 5 star!!! Gave it 4 stars because it is too short. It is right up there with one second after--- my all time favorite book in this genre. I don't like getting 1/3 or 1/2 of a book--that is my only complaint. The writing is excellent. 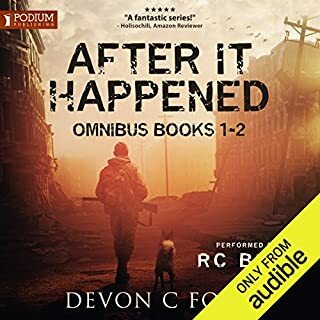 I didn't have to suspend disbelief--and the narrator was perfect. I have already purchased the next one--I have more cleaning to do!!! I received this book in exchange for a review and I am going to give it. 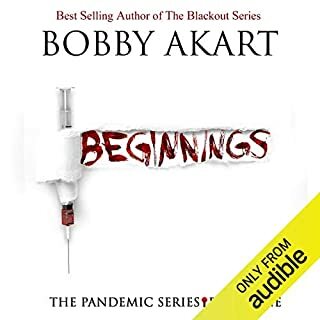 This is a great start to a series, it has just enough real science to validate the story line without boring you. 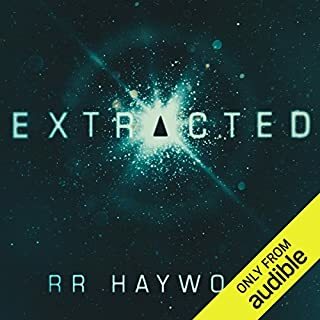 The characters are developed and engaging which makes for a fantastic listen. Action from beginning to end, it leaves you waiting for the next book to come out. I like the way the author used existing real people of some notoriety to add color and background to the story, very well done. Looking forward to listening to the entire series. I was entertained as well as informed. 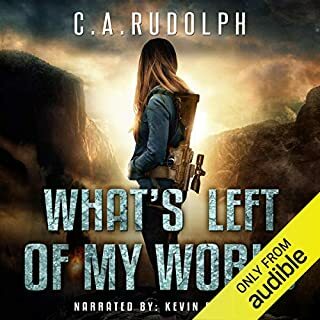 Kevin Pierce is one of my favorite narrators. Would you listen to 36 Hours again? Why? Makes you think about what your life would be in the 1800s. No electricity no conveniences fighting for everything you have. When it comes to this type of book, this is close to the top of the list. I still like the BORROWED WORLD better. This is entertaining and I did learn stuff. The beginning might have to many lectures for some. Akart did some research on the sun and he is eager to share it. As an author you have the right to talk as much politics as you want and most do. For years it was mostly the liberal side that did most of the talking. 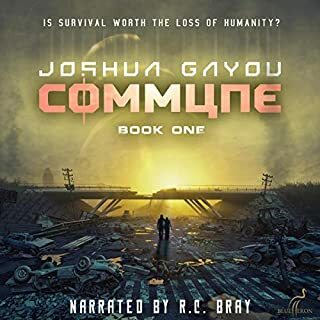 The conservatives have found the apocalypse novel to be perfect for supporting their platform. I still have no problem with that, but please don't try and fool us. 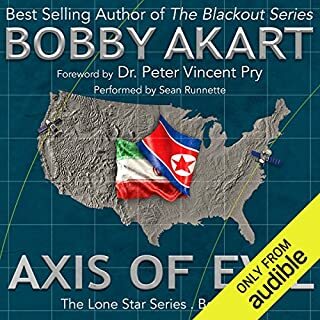 Akart tries to say he is tired of people taking sides, which he follows with an example of how conservatives complain about illegal aliens, but then they are called racists. He tries to say he is neutral, but the book is full of examples of just how conservative he is and how he hates liberals. He tells us how smart Newt Gingrich and Shaun Hannity are. It is a shame you can't buy and get a gun without a back ground check, etc. In one part a character comes upon Hope, Arkansas and we are told it is the home of Bill Clinton AND A DARN GOOD MAN, MIKE HUCKLEBEE. We are often told about how the morals of the country have gone bad, etc.. I lost count of how many times we are told Preppers are normal and not crazies as the liberal press tries to paint them. Hey, if your a conservative Baptist, than say it and own it, don't whine and pretend you are neutral. Pierce makes this book even better. This story is really good. It's not about a well prepared survivalist but is about and everyday person and his family. The characters are well written and could be my next door neighbors. I found my self emotionally involved with the characters. This story is an easy read. It is the first 5 hours of what I think will be a great series. As always Kevin Pierce did a wonderful job of narrating. Although it is not a teaching book you will learn and you will be entertained. My only complaint is book 2 is not ready yet. The author has several series out. I finished a book one of another series of his and started this book waiting for the next book. It is the only reason I give the book and overall 4. Otherwise I highly recommend this book. Preppers do have the mentality attatched to them of being a bit on the wacky side, but I think in all honesty having some sort of stock about you really isn't. Especially with the way the world seems to be heading. Maddison was a fab Mom and did everything she could to help calm her daughter down and protect her from even her own thoughts at first. Alex totally different gal, you think she's this quiet kid who just wants to do what kids do, but she rescues her mom from a mugger with a golf club! There were some really tough moments in this story. And the more we got to know Maddy and Alex, and her husband Colton. The more we were routing for them being re-united. I think my only grip is that it's so short. I know there's a sequel, but I feel it's actually really part of this story. It stopped at a good place after they met up, but the only thing that led me to want more was the bonus chapter/teaser. 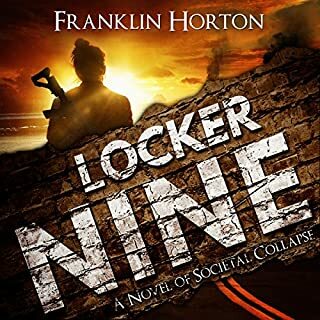 I would recommend this book only as an example of how unpleasant the principal characters are and the underlying political message of the author and his Republican rhetoric. You can tell where this book is going to go and how things are going to play out well in advance. Granted there is some tension around the actual solar event. However, you have to listen to a lot of the authors uninteresting and frankly racist prognostications that to anyone with more than a handful of brain cells starts to become really really tedious. As an Englishman, living in the UK, I have one question who is Mike Huckabee and why should I care? 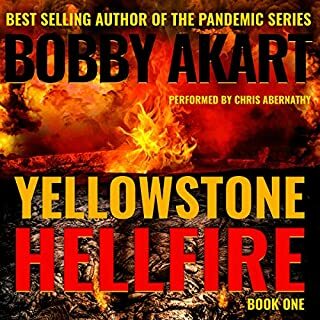 Would you be willing to try another book from Bobby Akart? Why or why not? No. this is another of those books that is actually one slim book split into a number of parts to make extra money. Do not be fooled by the length as advertised as this inevitably includes a big chunk from from the next book. If this, or any of the other books was a good 9 -10 hours then I would. However all the books in the series come in well under 6 hours and at £16+ they are too expensive. Kevin Pierce should not play the bad characters as black unless we are told they are black. He has a responsibility not to add context that detracts from what is written. Even when what is written is could be construed as racist twaddle. Could you see 36 Hours being made into a movie or a TV series? Who would the stars be? I hope not. Not unless it is completely re-written and give some depth and substance. As is usual with this genre more concern is given to the sexual mores of the characters and who they may or may not be sleeping with than is given to the random acts of violence these same characters mete out to others whether or not it is justified. Get your priorities right. You are not allowed to kill and main people until society has gone down the plug hole, at least in the UK.Also one of the main characters goes from not understanding what prepping means to prepping expert in lickety split time. Whilst this may be of some use for people who have bought this book as some kind of handbook it does become a bit like a big book of lists. If I want a manual I'll buy a manual. for no real reason I didn't expect much from this. maybe I thought the cover looked a bit like it was for kids. don't judge a book by its cover!!!! it was awesome i really couldn't put it down!! build up had me in the edge of my seat! I've read 64 books like this in the last 3 years and this is my number 2 in favourites list! !!! almost knocked Michael G Hopf off the top but not quite! wow. not waiting to buy book 2 I'm on it as we speak! ! What made the experience of listening to 36 Hours the most enjoyable? What was one of the most memorable moments of 36 Hours?